Application essays are the most important essays that students write when they apply to colleges or universities. Application essays are a part of the college application package. They are meant to introduce the applicant, to show his skills, abilities, and qualities. 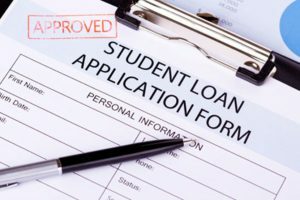 They are certainly meant to let the colleges and universities understand if that student will benefit this particular institution and whether or not this particular college or university will benefit the student. A quality essay will increase the chances of a student to enter a chosen university, while a poorly written application essay will almost always cause a student to get rejected. Application papers are required by all major colleges or universities. So how do you write a successful application essay? First of all, application essays should not sound like boring tedious lists summarizing student’s achievements, accomplishment and activities. On the contrary, the essay should be engaging and smooth-flowing like a story that nonetheless has a clear focus. The main goal of an application essay is to reveal the student’s passions, aspirations and to reveal his/her personality. Even if an essay contains a student’s life story depicting some difficult times or challenges, if written properly, it can show the student as a mature individual with perseverance and a unique personality. Using humor carefully is a winsome strategy when writing application essays. At the same time the humor should be mature and non-offensive. Clever metaphors, witticisms and some self-deprecating humor will remove ‘heaviness’ of the application essay. Needless to note that bad puns or offensive humor will disqualify the student. The humor is not the objective of the application essay-rather it is a way to keep the reader interested in the material presented in the paper and to help him form positive emotions about the writer. Since application essays are relatively short, one needs to use a specific tone of the essay in order to balance pride in one’s achievements with humility and compassion towards others. The essay should never make a writer sound like a braggart, just like it should never make a writer sound like a whiner who desperately needs to get into college. Revealing one’s character in an application essay is a certain way to write a good application essay because the universities are looking for personal qualities and the strong character of an applicant. 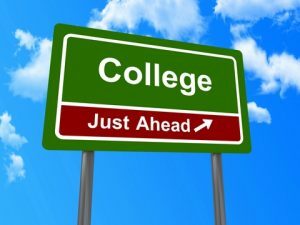 Colleges and universities are not looking for straight A students and top SAT/ACT scores. They want quality personalities, future leaders and good citizens, so the application essay should position yourself that way. The structure of an application essay is rather liberal, yet it should include the introduction, the body part and the conclusion. The student should proofread the essay, remove punctuation and spelling errors and correct grammatical problems. It may be a good idea to let others peer-review the essay or view it oneself with a fresh look a few weeks after writing the first draft. EssayPlant.com professional writers can assist you in preparation of your Application essays. Their writing experience allows them to grasp the topic and quickly develop a successful application paper. Do not procrastinate, order Application Essays now!